I like to try different types and styles of music and Muddy Gurdy fits that category and then some. First a definition: A hurdy-gurdy is a French instrument. It is played with a hand-cranked wheel, which functions like a violin bow as it rubs against the strings. 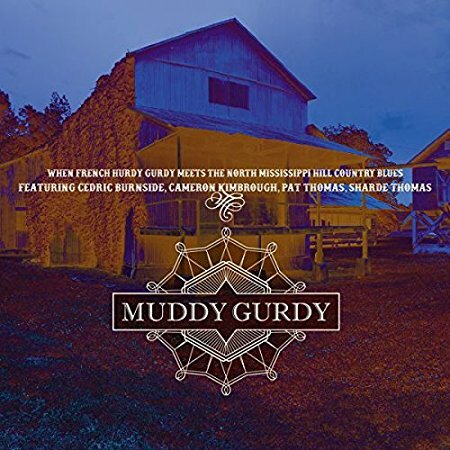 Muddy Gurdy is a French blues Band consisting of Tia Gouttebel (guitar and vocals), Gilles Chabenat (hurdy-gurdy), and Marc Glomeau (percussion). They recently travelled to Northern Mississippi to create and record their second album. Using local musicians and recording is rustic places with little technology, they have created a unique album of basic blues. Ranging from the classic delta blues of Mississippi Fred McDowell’s “”She Wolf,” to the Chicago blues of Mudding Waters “Rollin’ And Tumblin,” to the traditional “Glory Glory Hallelujah;” they have stripped the blues to an elemental level. The self titled Muddy Gurdy is for the blues aficionado who wants their music basic and a little different. Saturday Club, Blues In Rhythm, Top Gear, and The Joe Loss Pop Show are just a few of the bevy of music shows that dominated English television a half century ago. Bands such as The Beatles, Rolling Stones, Kinks, and The Who made regular appearances. 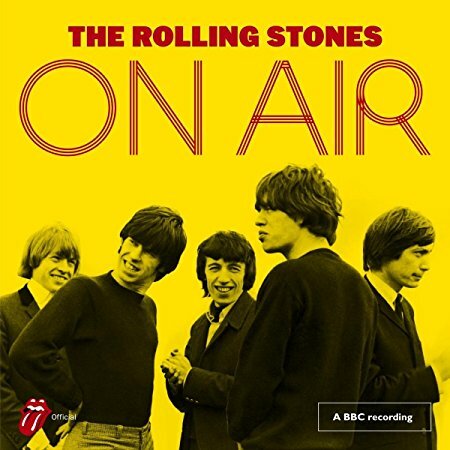 Now 32 performances, recorded between 1963-1965, by the Rolling Stones have been resurrected and officially released for the first time. On Air is similar to opening a time capsule and exploring past history. These performances present the Stones in their formative years. The were still primarily a rhythm and blues cover band and Brian Jones was the controlling force. Jones’ harmonica play is front and center and on a number of old blues covers substitutes for the sax sound. He also plays a mean slide guitar before the style was popular. Mick Jagger is at his gritty and sarcastic best. Keith Richards takes the lead on a number of songs and demonstrates how he established his reputation of one of rock’s best guitarists. Many of the tracks have been bootlegged a number of times but now the sound has been scrubbed as clean as possible. While it is not perfect by the standards of today and there are still a few tracks that have problems; overall it is very presentable and provides a good listening experience. While there are a few familiar songs including “It’s All Over Now,” “Spider And The Fly,” “The Last Time,” and a scintillating “Satisfaction;” it is the covers and rarely heard material that make the album worthwhile and a treasure trove for Stones fans. On Air presents a raw and developing band. While they had achieved some success, the future was still uncertain, so it is a band fully committed to their performances. It is also interesting to hear Brian Jones as one of the focal points because as the band slowly became one of the best rock and roll bands in music history, his role would be diminished. On Air fills in some big gaps in the Stones journey and is an essential look into understanding their music. Oscar Peterson, 1925-2007, was a legendary jazz pianist, who unlike many of his contemporaries focused on a melodic approach. His classical influences and technical ability allowed him to find commercial acceptance outside of jazz music. The Singers unlimited were a jazz vocal group led by singer/producer Gene Puerling. His ability to combine their voices into a virtual choir was amazing given the technology of the early 1970’s. Peterson’s strongest albums were usually recorded as a trio. Here he is accompanied by bassist Jiri Mraz and drummer Louis Hayes. What is different is he departs from the norm and records with a vocal group with the result being a collaborative effort released in 1971. 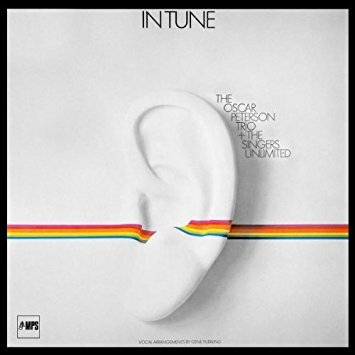 In Tune is a quiet and in many ways a subtle album. The flash is provided by the vocal harmonies but it is Peterson’s playing that provides the substance. “Sesame Street” is the album opener where the two different styles of the trio and vocals come together and set the tone for what will follow. “Once Upon A Summertime” is a simple ballad with vocalist Bonnie Herman. “The Shadow Of Your Smile” finds Peterson knowing when not to intrude on the vocals but to act a supporting musician. Oscar Peterson is recognized as one of the unique and great jazz pianists of the last half of the 20th century. Any of his Verve recordings is a must for the jazz aficionado. However, if you want something a little different from Peterson, In Tune is a good place to start. It is a long way from Australia to Memphis, Tennessee, but John McNamara seems to have successfully made the journey both physically and musically. The musical result is a solid album of blues titled Rollin’ With It. McNamara is one of those underappreciated guitar masters, but he also possesses a wonderfully soulful voice. Backed by some of Memphis’ finest backing musicians, complete with a sparkling horn section, he romps through seven original and three cover songs. 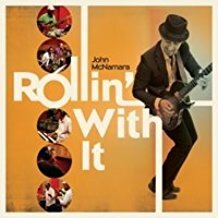 If you are looking for some smooth and expressive blues, Rollin’ With It is a good place to start.